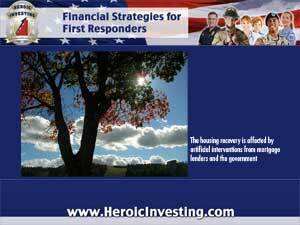 Do Artificial Interventions Sustain the Housng Recovery? The housing recovery is back on track – or is it? Indicators such as rising prices and low inventory of available houses for sale in many markets appear to suggest that the effects of the hosing collapse of a few years ago are fading. But some industry professionals point out that the “recovery” may be hollow – propped up by a series of artificial interventions that affect the movement of foreclosures through the system and onto the market. The movement – or lack thereof – of foreclosed homes onto the market plays a major, if little known, part in the overall rebound of the housing industry after millions of homes fell into foreclosure around 2008. In the months and years that followed, homeowners, lenders and the government became enmeshed in a series of scandals settlements bailouts and interventions that skewed the course of the recovery. While it’s well documented that home prices are going up and available homes are in demand, millions more homes sit in stalled foreclosure processes, or are propped up by interventions such as homeowner bailouts that, in many cases, simply defer foreclosure. And as government entities on both the state and national levels take measures to stimulate the recovery and shore up struggling homeowners, these homes remain unavailable. Mortgage lenders, primarily banks, are responsible for many aspects of this darker side of the housing recovery. Financial experts and industry watcher point to irresponsible and misleading lending practices that contributed to the original collapse, as lenders approved vast numbers of mortgages to “subprime” borrows at the height of the bubble. And after the collapse, the well-known “robosigning” scandal of fraudulent handling of mortgage paperwork led to a settlement and more legislation to regulate the industry. Now, lenders continue to process foreclosures slowly if at all, leading to large numbers of homes held by banks, or owned by individuals needing lender help to avoid an outright foreclosure. Government intervention has manipulated the housing recovery too. Interventions such as the Federal Reserve’s massive buyup of mortgage backed securities to keep interest rates low, and Fannie Mae’s bulk purchase and sale of large lots of foreclosed homes were aimed at stimulating a housing rebound. And legislation such as the Dodd-Frank Act and California’s new Homeowners Bill of Rights are aimed at preventing quick foreclosures and forcing lenders into more responsible dealings with struggling homeowners. As a result, foreclosures are dramatically down in some markets such as California, interest rates remain at near record low levels and fewer houses are available to meet the demand – all positive signs pointing toward a road to recovery. But all these factors are tied to some extent to the behavior of lenders and federal and state government bodies toward foreclosures – behaviors that either keep homes in foreclosure off the market or manipulate market conditions such as interest rates. The Shadow Inventory: Skewing Recovery Numbers? The New Wave of Foreclosures: Hurting the Housing Recovery?